“This has Green-Lipped Mussels, that’s great,” said my Vet when I showed her a new glucosamine product intended to help joint issues in dogs. Whatever it is, my dog Victor needs it, along with glucosamine. Here’s something I haven’t told you about my 10-year-old schnoodle Victor: he had Anterior Cruciate Ligament (ACL) surgery 16-months ago. The ACL is the ligament that stabilizes the knee joint, and it’s common for dogs – and active people – to tear or snap it. Victor snapped his, so it was replaced with what was described as a ‘fishing wire’ replacement – via surgery. This post is sponsored by Nutrience®, PetSmart®, and the BlogPaws Professional Pet Blogger Network. I am being compensated for helping spread the word about the launch of Nutrience® SubZERO™ in PetSmart Canada but dogtrotting.net only shares information we feel is relevant to our readers. Nutrience and PetSmart are not responsible for the content of this article. Unfortunately, thanks to Victor’s inability to stay calm for longer than a nanosecond, our post-operative physical therapy ritual was a bust, and his knee did not heal well. It’s an issue, especially for an active (and aging) dog, who features in a dog travel blog. I can’t medicate him indefinitely, so a healthier solution is to address the issue from the inside out – focusing on nutrition, health and wellness. I’ve been supplementing his kibble with expensive prescription wet food specially designed to help joint issues. Prescription kibble he won’t eat, and he doesn’t like the wet food much either. Yet, anti-inflammatories he must get. 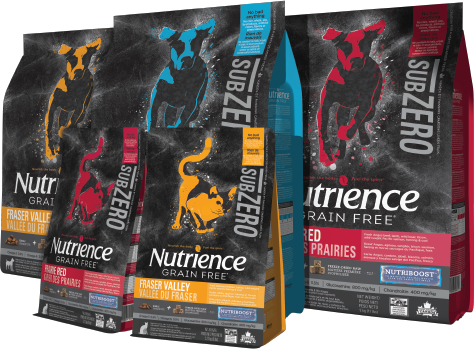 So, how excited was I to learn about Nutrience® Grain Free SubZERO™ made-in-Canada, convenient and easy-to-use, high-quality kibble with freeze-dried raw dog (and cat) food available at PetSmart®? 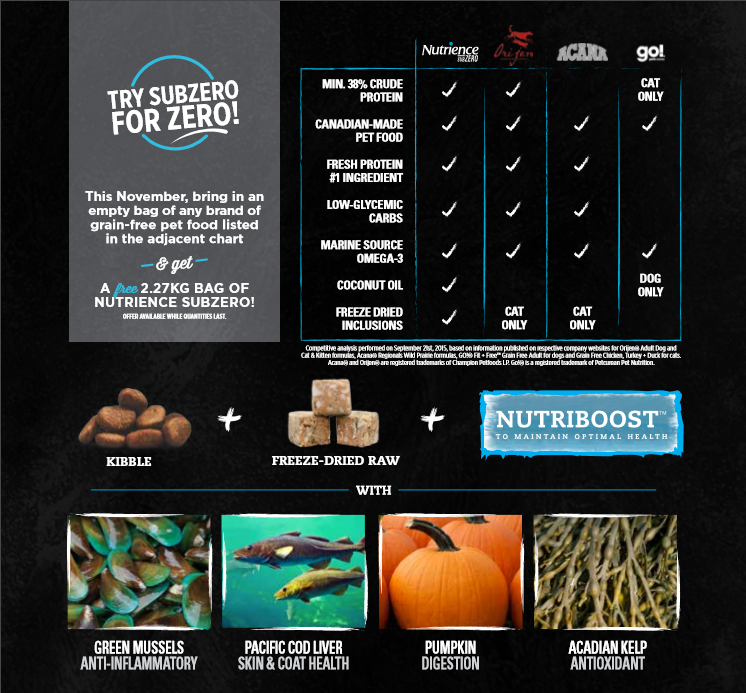 Then I learned one of the four main ingredients in the food’s freeze-dried Nutriboost ™ is Green-Lipped Mussels for hip and joint health. Really excited! Now tails are wagging (Victor’s too, if he had one) because, despite being a premium high-quality dog and cat food, subZERO doesn’t come with the same price tag as Vet prescriptions. Nutrience, a British Columbia-based second-generation family-owned company, produces small batches of pet food in its own manufacturing facility, sourcing from Canadian suppliers. (This will be important next post). Ok, then what are Green-Lipped Mussels? You might know them as New Zealand Mussels (or Perna Canalicula, if you’re a science geek) and studies indicate they decrease inflammation and reduce joint pain and stiffness, and help arthritis (which Victor likely has after surgery, though not before). Canadian Pacific with fresh and freeze-dried wild caught fish. 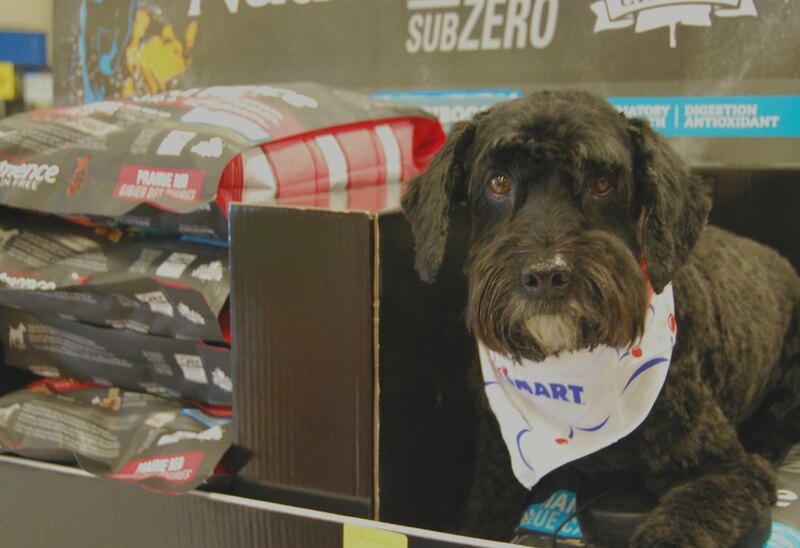 Stay tuned for “The SubZERO Taste Test” next post … and follow PetSmart on Facebook. But first, we’ll be heading to PetSmart on November 28, 2015 to pick up our free, yes free, bag of Nutrience® Grain-free SubZERO™ dog food – and you can too if you bring in an empty bag of another premium Canadian brand. (Cat people also). great article. even though I have a relatively young dog, may be a good idea to use this product as a prevatative measure. any thoughts? Yes, it’s apparently as healthy as raw food but without the risks of raw food … and you can take it camping. Thanks for your support. I found the article interesting. I did not know they were a canadian company. Interesting news on joint care for dogs.